To sit astride, pretending she’s riding a pony. Meant for sharing with friends. While whistling with the helicopter seeds. It’s safe to race for Home. Delighting teens and vexing parent cleaner-uppers. Made nests and raised young here. Waiting and watching for something to fall down. Not only money but memories. 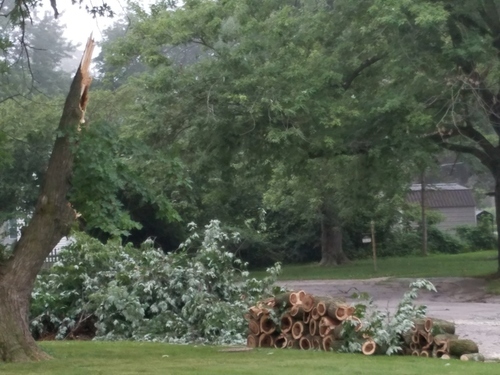 Note: This Silver Maple sits on the property line between our house and our next-door neighbor. It was immense when I was a child, and part of me expected it to live forever. 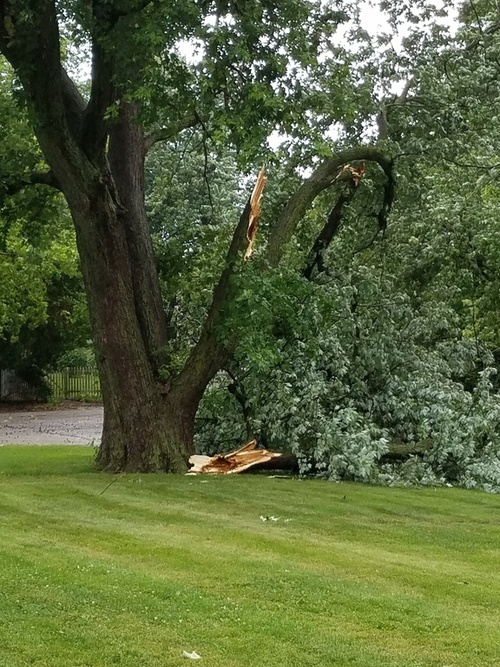 Sadly, a storm thought differently — two years after Domer’s Sugar Maple blew over. R.I.P., old friend.